This article was first published in El País on 7 December 2013. It has been translated without permission for the Mexican Journalism Translation Project (MxJTP). On that “first September 11,” while Pinochet’s dictatorship took La Moneda, Diego Fonseca (Argentina, 1970) was grabbing records from his father’s collection so he could trample them with his orthopedic shoes. Fonseca was three years old at the time. He uses that image from 1973 in his latest book, but it took three months to spring to mind, and came to him when he was looking at his four-year-old son. Little Matteo, of course, doesn’t scratch records – “because there are none in the house” – but with unconscious energy he will break an iPad’s screen. The conversation with the journalist and writer takes place around a table on the third floor of Guadalajara’s Hilton Hotel, between events at the Feria Internacional del Libro (International Book Fair). Crecer a golpes. Crónicas y ensayos de América Latina a cuarenta años de Allende y Pinochet brings together the vision of 13 important storytellers and journalists to review the last four decades of the region’s ongoing conflicts. During the interview the author speaks about Latin America’s past and present, a story that belongs to a generation that grew up among the dictatorships. Diego Fonseca was 13 years old when Argentina recovered its democracy. Son of a teacher and a provincial lawmaker, at 14 he became politically active. “At the time I thought that being young could change things. Now I believe more in transformation as a progressive process. If you clear away everything at once the problem is that tomorrow people expect that public services will continue to function. Processes take time. Changes require force, dedication. Deep transformations don’t occur from one day to the next,” he says. Question. Some say that Latin America has turned its back on its past. Do you think that there can be justice without damaging the economic and social well being that some of the region’s countries have achieved in spite of not judging their dictators? Answer. I think that there’s an attempt at recuperation, of a re-reading of the past. At certain moments some countries did turn their backs because the necessary conditions did not exist. Argentina was the only country that didn’t turn its back. Scarcely two or three years after democracy’s return to Argentina, Alfonsín had put more than 300 soldiers in prison, between 40 or 45 years old, and who were fully a part of the armed forces. To me Guatemala’s attempt also seems consummately dignified. El Salvador is trying, a little, to look at that past. Chile still has a way to go. Argentina was complicated because while it tried to deliver justice, the economy tanked and the government couldn’t manage both fronts. Chile’s process, however, is distinct. Its economy has remained pretty stable but the political sphere needs some redefining. I hope it won’t take too long. But I don’t believe either retaliation or revenge make justice. The past needs to be reviewed in its entirety. Across the political spectrum they have made errors and I prefer that justice come later [rather than never]. Q: After the first round of elections in Chile, there are predictions of the Left’s return to power. Do you welcome that? A: Yes I welcome the coalition’s return to government. I have always liked Bachelet. She’s a solid woman, a statesperson. The experience of the unreconstructed right, still stuck to the Chilean military’s old praetorian guard really wasn’t practical. It seems to me that there’s a huge social movement trying to argue about Chile’s values and I think that Bachelet must place before her some attention to those values that arose during her first period in office. Looked at another way, her style of managing social issues is different. Under Piñera, society’s demands exploded and I think that these can’t be ignored. Questions about educational policy need to be looked at again and that’s going to be central. Q: How do you view the recent results of the Honduran elections: the victory of the official party’s candidate and the claims of fraud from the Left? A: What’s certain is that I haven’t followed the elections deeply enough to judge the results. But on first blush it seems there is not sufficient proof to speak of fraud. Q: You write that Latin America still hasn’t come of age. How old is it then? A: It’s surely more than 13 years old and it’s probably closer to being a 17 year old. At that age rebellion sets in, responsibilities are looming, and one has to think about doing something in life. Latin America has thickened its understanding of strengthening institutions. The main goal is to try to bring stability, in society, as well as in the economy. Through politics it’s possible to create those much-needed transformations. If any one of those three factors falters in a process of transformation, problems are going to arise. For example, in Chile’s specific case, if your economy is good and your institutions are good but you don’t manage social conflict, you are going to have little fare ups that, in Piñera’s case cost him keeping the Right in power. Improvement in equilibrium is much needed and Latin America is learning. But there are countries that still have to resolve many things, like freedom of the press or the rights of individuals. Q: And what’s left for Mexico to resolve? A: Mexico has many things left to do: the war against drug traffickers, the problems in managing public information… I think that there is an enormous question mark in respect to the PRI’s capacity and desire to show that it’s had a deep internal discussion about bringing democracy to the Party and at the same time that it has the capacity to manage the state through democratic government. This is a huge doubt that’s going to follow Peña Nieto throughout his term in office. Q: Since drug trafficking is one of this country’s outstanding problems, does the growth of the self-defense movement warrant an opinion? A: It’s a complex phenomenon. I don’t think it’s reasonable that civilian or social groups should take justice into their own hands. Having said that, one has to think about how to build the Mexican state. The idea of the nation hasn’t taken hold throughout the country. When one travels into the country’s deep south, like Chiapas, one finds that ethnicity exists before the idea of Mexico. It’s as if politics was a game of occupying spaces, and where the state doesn’t have any presence other political actors occupy that vacuum. In this way, the narco has created its own proto-state micro-relationships in places where it’s dominant. The self-defense groups finish with the state by saying it doesn’t have the capacity to provide the required security and that because they’ve been deserted the only thing that families can do is defend themselves. It’s an ugly message. I don’t like them. I understand why they’ve sprung up but I don’t like them. Q: By way of conclusion, would you ever return to politics? A: No [it’s resounding no]. I want to write. I believe that my role is trying to understand processes. My father’s a politician, but I’m not motivated in the same way. I dedicated the book to those who believed, to my father who still believes, and to my son who will believe, but I don’t put myself in any of those three places. I have believed and I stopped believing. I want to believe again but I am not stubborn like my father. I ought to be a bit more stubborn to return to politics and I think that just doesn’t grab me. Journalist Paula Chouza reports from Mexico for El País. Follow her on Twitter @pchouza. This interview first appeared bearing the title “Diego Fonseca :“No creo que se deba hacer justicia por revancha ni venganza”,” available at: http://cultura.elpais.com/cultura/2013/12/07/actualidad/1386376286_662915.html. Writer, journalist, and editor Diego Fonseca is the author of numerous articles and several books. His latest edited volume is Crecer a golpes (Penguin Random House, available on Kindle and in paper). You can follow him on Twitter @DiegoFonsecaDF. This satirical news piece – about hiving off Mexico’s troubled western state of Michoacán, making it independent – was published in El Deforma on Monday 24 March 2014. Mexico’s press has a lengthy tradition – stretching back to even before independence from Spain in the early nineteenth century – of employing satire to steer through thorny issues. It has been translated without permission for the Mexican Journalism Translation Project (MxJTP). Mexico.- The Governor of the State of Mexico — the gurantor of safety for all the country’s inhabitants — requested the Senate erase the State of Michoacán. He says the state must not keep operating because it does not meet security standards. Eruviel Ávila argues that there are not enough police resources to maintain order in that state and the healthiest thing to do is shut it down until there’s certainty that it can operate according to minimum standards to avoid instances of violence. “We can’t let Michoacán go on. I know that there will be a lot of people affected by this proposal, but the damage will be greater if it continues being part of the country. Besides, they are going to refund money for everybody who bought a house there,” declared an energetic Eruviel, a man who never tires of protecting the nation. The Senate will analyze the proposal inviting Michoacán to declare itself independent for an indefinite period. Some lawmakers have already shown they are in favor. “Well, if we run some quick numbers, if we separate Mexico from Michoacán, then the violence in this country will go down automatically. The Monarch butterflies present a bit of a problem, because they bring in a ton of tourist money and they normally live in Michoacán, but surely we’ll be able to relocate them here,” stated Senator Eduardo Merénguez. A vote on the proposal is expected in the following hours when a decision is expected. Satirical news portal El Deforma pokes fun at all things in Mexico, including the country’s political class. The article first appeared under the title, “Asegura que Michoacán no cuenta con los estándares mínimos para llevarse a cabo,” available at: http://eldeforma.com/2014/03/24/eruviel-cancela-el-estado-de-michoacan-por-falta-de-seguridad/. Translator Patrick Timmons’ last piece of droll satire appeared on CounterPunch as “Interviewing Myself: A Selfie Portrait,” available at: http://www.counterpunch.org/2014/03/14/a-selfie-portrait/. This article was first published in Proceso on 15 March 2014. It has been translated without permission for the Mexican Journalism Translation Project (MxJTP). TEPALCATEPEC, Mich., (apro). 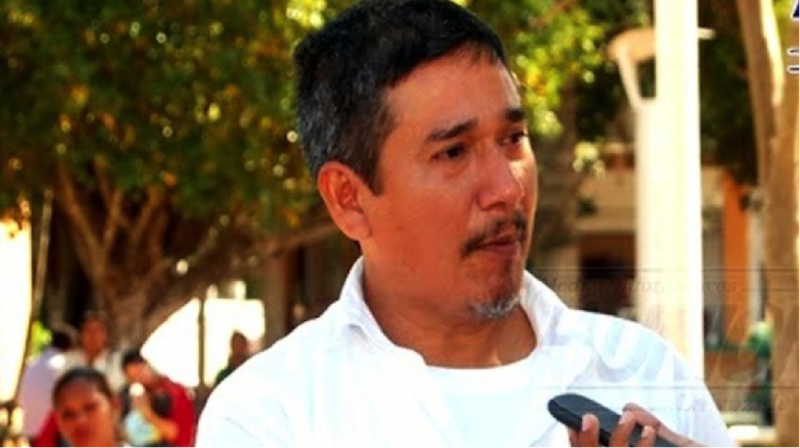 – José Manuel Mireles Valverde, member of the Michoacán Self-Defense Council (known in Spanish by its acronym, CAM) accused Enrique Peña Nieto’s government of betraying them and censoring the media that is telling the truth about a social movement that has now lasted for longer than one year. According to Mireles, the arrest resulted from a trap because Mora was delivered to the Attorney General for his alleged responsibility in the murders of Rafael Sánchez Moreno, “El Pollo,” and José Luis Torres Castañeda, “El Niño,” both executed and incinerated on 8 March. “The government jailed Hipólito and wants to arrest the other leaders. And it’s destroying the image of our self-defense forces by paying the media for unfounded stories, saying we are criminals. That’s a lie. Nobody messes with Michoacán, not even the damned government,” he maintained. Mireles said that Carmen Aristegui’s program is proof of the government’s censorship because she frequently interviews CAM leaders but that the show is not broadcase in Michoacán. He added that the government “manipulates” things, beginning a series of telephone surveys “designed to damage” the self-defense forces’ prestige. “The great heroes who gave us this country really weren’t the best people. So the government fears that Mexico will wake up. But with social networks it’s impossible for the government to take us for a ride,” Mireles said. “The surveys put the safety of Michoacanos at risk since they ask people for opinions about the self-defense forces. The questions always look to damage the movement. It would be better for people to hang up the phone. Nobody should take this sort of call. They are ringing from telephone numbers in Mexico City that begin with 55,” Mireles said. According to the leader of the self-defense forces, they are conducting surveys with “rigged data” in cities such as Uruapan, Morelia, Los Reyes, Zamora, Zacápu, Zitácuaro, Pátzcuaro, Lázaro Cárdenas, Los Reyes [sic.] Múgica and others. Mireles also insisted that the self-defence forces have not broken with the government. He emphasized that the authorities have not lived up to the original agreements with the self-defense forces’ general council and it does not trust them because whenever they talk with the press, there are repercussions. By way of an example of these repercussions, Mireles labeled the agreements signed between the government and the self-defense fores as “pure theater.” After Mireles gave an interview to newspaper El País and to Carmen Aristegui, authorities withdrew federal bodyguards who had been protecting his son. 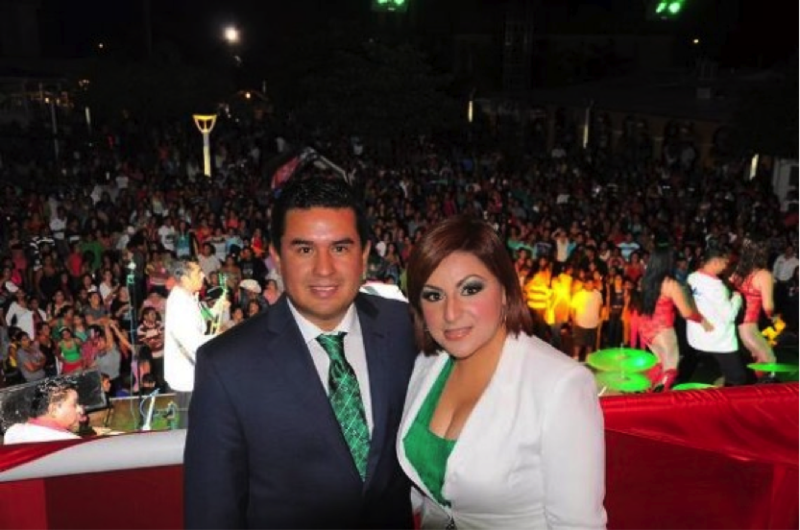 Journalist Francisco Castellanos J. reports from Michoacán for Proceso, Mexico’s weekly news magazine. This article first appeared under the title, “‘Si el gobierno quiere guerra, guerra tendrá’: Mireles,” available at: http://www.proceso.com.mx/?p=367446.